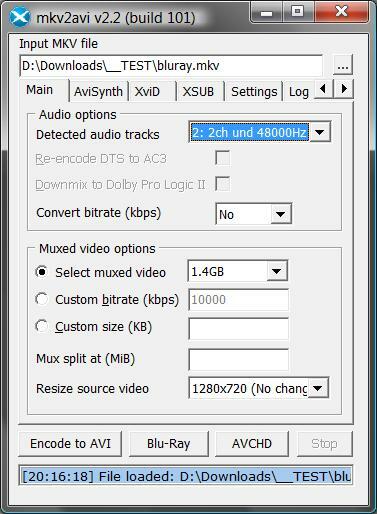 mkv2avi converts your MKV file to AVI (XviD) by transcoding the video. You can select the output file size. mkv2avi is available as a standalone download package, or is available as part of the multiAVCHD package.